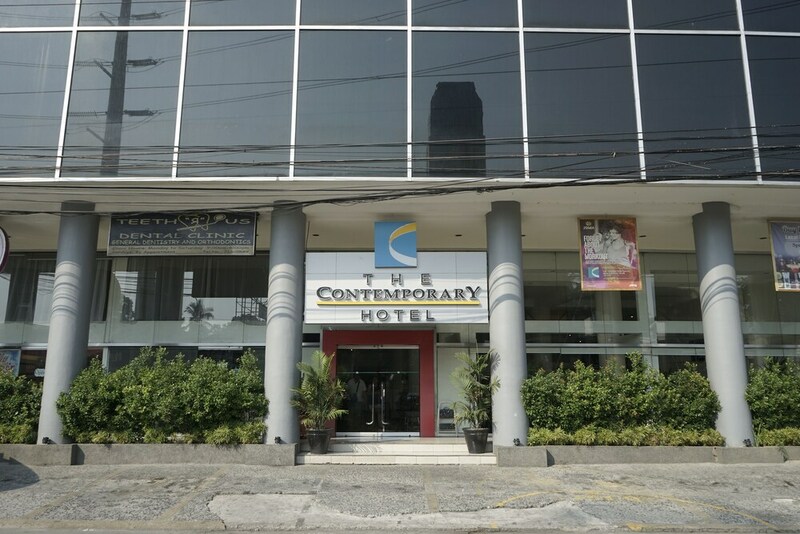 Situated in the shopping district, this hotel is within 3 mi (5 km) of Pinaglabanan Shrine, Our Lady of Mt. Carmel Shrine and Immaculate Conception Cathedral. Asian School of Hospitality Arts is 3.6 mi (5.7 km) away. V. Mapa LRT Station is 5 minutes by foot and J. Ruiz LRT Station is 17 minutes. Along with a restaurant, this hotel has an outdoor pool and concierge services. Free continental breakfast, free WiFi in public areas and free self parking are also provided. Additionally, dry cleaning, a 24-hour front desk and free newspapers are on-site. All 88 rooms provide conveniences such as dining areas and sitting areas, plus complimentary wireless Internet access and flat-screen TVs with cable channels. Free newspapers, free bottled water and showers are among the other amenities that guests will find. The hotel offers a restaurant. Guests can enjoy a complimentary breakfast each morning. Wireless Internet access is complimentary. This business-friendly hotel also offers an outdoor pool, concierge services and complimentary newspapers in the lobby. On-site self-parking is complimentary. The Contemporary Hotel has designated areas for smoking. On-site venue – This restaurant specialises in Filipino cuisine and serves breakfast, lunch, dinner and light fare. Open 24 hours. Open daily. Start your day with a free continental breakfast, available daily from 6 AM to 10 AM.